A WORLD away in Jamaica, Queensland Firebirds stars Natalie Medhurst, Laura Geitz and Amy Steel were glued to their television screens. 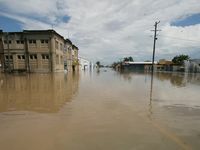 In the middle of a three-match series for the Australian Diamonds against Jamaica, in which the girls won on points difference, their home state of Queensland was suffering after the worst flooding in decades. “I was away in January while it was all happening. 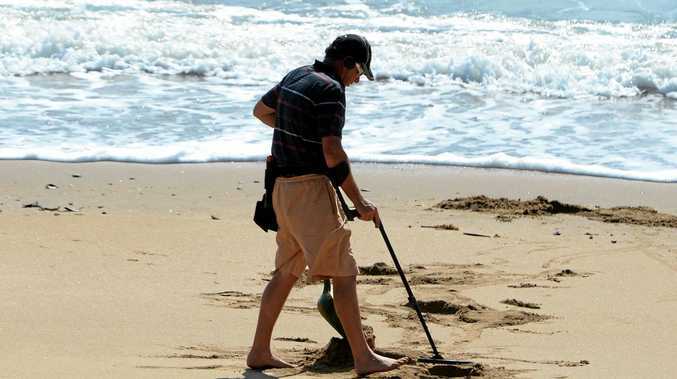 It came close to my place, but we were lucky that the water didn’t come up into it,” Steel said. A number of frantic phone calls later and the trio were reassured their homes were safe, but they still weren’t satisfied. Geitz said that she and her Firebirds teammates were really saddened by the devastation and were moved to help out where they could. 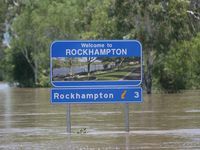 “It broke my heart watching the flood footage and seeing how the netball family has been affected,” Geitz said. While family and friends were busy digging in back home, the girls mustered up an idea of a way they could offer their support. Upon their return, Medhurst, Steel and Geitz decided to head to regional Queensland to host a couple of netball clinics to help to put smiles on the faces of budding young netball players. Only days before the start of the ANZ Championship, the three girls, along with rookie Firebird Candice Adams, conducted the Firebirds Fundraising Netball Clinic on Tuesday afternoon at Rockhampton’s Jardine Park. More than 60 budding local netballers aged 8 to 16 fine-tuned their skills under the guidance of their idols. The proceeds go towards Netball Queensland’s Flood Relief Fund. Rockhampton Netball Association president Barbara Ahmat said it was huge boost for the 1400-strong netball community in Rockhampton. “It’s good to see the Firebirds do something to help raise some funds for netball in the area,” Ahmat said. While the four girls were not directly affected by the floodwaters in Brisbane, teammate Elissa McLeod’s had no such luck. After returning to semi-professional netball in 2010, McLeod – who never intended to play – won a Victorian State league premiership, Australian National League premiership and was then signed by Firebirds for the 2011 season. 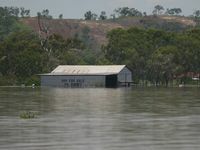 However, after a stellar year, 2011 started in the worst possible fashion when in January McLeod’s home in Milton, Brisbane was severely damaged during the Brisbane floods. Immediately following the floods, the Firebirds stopped training to help out McLeod, Brisbane residents and throughout regional areas of Queensland, assisting where they could with the clean-up and recovery. It’s good to see the Firebirds do something to help raise some funds for netball in the area.